Mine got bumped to Early-2019 (base model) or August '18 (for Premium). I just got my VIN assignment. Average VIN-to-delivery in NC is about 20 days, so I guess the real countdown begins. Can't wait! On a less light note, sounds like there are concerns about safety conditions in the factory. There's a lot of blustering on both sides of this so it's really hard to tell what's nailed down yet. The UAW as an organization has some issues from everything I've read, but I am totally for the workers unionizing (and I voted so with my stock when they asked a bit back). I hope Tesla can get their sh*t together. I've gotten to the point that I don't really trust anything the Tesla PR arm says. It's weird how Musk can be surrounded by two organizations that are so different... SpaceX is firing on all cylinders and seems like a thoroughly awesome outfit, and Musk himself seems like a pretty great guy. But Tesla? Man, that place has a real bad smell to it. There's something really wrong in that management somewhere, I suspect. Space is cool, cars are passé. The pickup process is exceedingly simple compared to working with a dealership, since there's no haggling and the purchase stuff is basically all pre-arranged and done online. We start with looking it over, note anything that needs fixing or touchups (I had a big checklist to go over based on things Tesla forum folks suggested), and then you sign the paperwork. Then they spend a half hour with you in the car showing you around the interface and how everything works, which I mostly already knew because of obsessively reading the Tesla forums for the last 2 years. I pulled out and started to head home, doing the "0-60 in 5 seconds" launch a few times just because I could. I probably sweared and/or giggled 7 or 8 times on the way home just from the VAST difference in driving experience compared to my Civic I had been driving for a couple of years. If you truly want to appreciate driving a Tesla, I recommend selling your conflict diesel back to Volkswagen and driving a base-model 4-cylinder car for a few years first. Autopilot isn't activated immediately as it has to calibrate from real-world driving. It showed up about halfway home when I realized "holy sh*t the cars in front of me are showing on the screen now!" I turned it on and it drove me down a curvy back road on the way home. Freaky cool. Got home and it was my wife's turn to give it a spin. We went down to a friend's house to visit and show her the car since she had just responded to my tweet about it so we knew they were home. Did the launch demo a few times and got the same swearing out of our passengers that I did. I have the Tesla wall connector charger but it's not installed yet, coordinating with an electrician to get it put in. In the meantime I plugged it in to the regular 110v wall plug in the garage and it gets back 5-6 miles per hour. By the time I woke up this morning it was charged back to 80%, which is where they recommend you leave it day-to-day for battery health, only going up to 100% when you're about to take a big road trip. Honestly, a lot of the things on that list were way more of a concern when they were still on VIN #3000 and less so at #13000. Manufacturing has tightened up a lot since a lot of these types of issues were reported. My car was pretty much perfect except for a small scratch in the clearcoat on the trunk that didn't even get into the paint. I'm going to go in next week to the service center for them to buff it out. That said, it doesn't hurt to look for it all. You're spending a lot of money for something to be not 100%. Congrats! Is it just perspective, or is the steering wheel position really low? Since I can't justify the cost, I haven't been following the Model 3 closely. Are there no instruments in front of the driver? It looks like not, so does that mean the speedo is on the tablet? That would drive me bonkers, I want my speed indicator directly in front of me, not off to the side. Congrats, RR and nice tunes. Depeche Mode's Violator is one of my all time favorite albums. Steering wheel position in configurable per driver profile. I like mine kind of low. Correct. Having a single screen was part of the cost-savings measures that made the 3 so much cheaper than the S to produce. Not just the cost of LCD screens, but also the wiring harness(es) that connect to them. It seems like it would be annoying, and I was super wary about it before hearing a lot of others' feedback (and ultimately, trying it myself). BUT, the speed is in the upper-left corner of the screen, just to the right of my right hand, and in practice, it hasn't bothered me at all. It's basically identical to glancing over at maps on my phone that I had in my previous car in a CD slot mount. There are some folks that put a phone mount directly on the dash behind the wheel and brought up Waze to get the speed limit display. The whole thing is so frustrating, because 11k miles into owning this car, I absolutely do not regret my purchase at all. It's amazing, fun to drive, and inexpensive to maintain. But *damn* I wish Elon Musk wasn't such an a**hole. It makes me feel bad about the whole thing. What makes it worse is reading various Tesla forums I see like, 70-80% support for the Elon Is God camp where he can do no wrong and the SEC is dumb and blah blah blah; maybe it drops to 50% support for him in the "talking about Elon calling a rescue diver a pedo" thread. I wouldn't downplay the likely outcome of this. It was a lot more than just one tweet. Musk spent a lot of time bashing short sellers and making it clear he wanted to find a way to hurt them. The tweet was simply the culmination of his prior statements. The case against him is going to be that he acted intentionally to put materially misleading information into the market with the intent of causing harm to a certain class of investors. It will be hard for him to deny this. I understand that a lot of people hate short sellers. There's ample reason for that too. I have no use for short sellers as an investor, but as an attorney I know that you simply can't manipulate the market with false statements. What Musk did is a lot more serious than many Tesla fans understand. The SEC has a very strong case against him and he's at real risk of being subjected to the censure of being banned from holding office/sitting on the board of any public company. Were I to bet on this, I'd say the odds of Musk being banned from holding office again is about 70%. The odds of him being fined, heavily, is 100%. I just hope they actually either manage to bash some sense into Elon, or they get him kicked out and the company continues on fine without him. He's driven them to where they are, but I feel like he's an anchor holding them back, too. Yup. 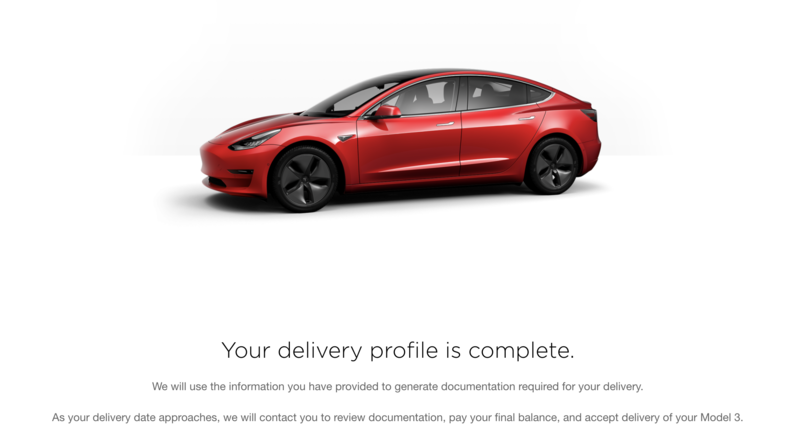 Between the refusal to make the promised base models of the Model 3, and the expiration of the tax credit, his behavior was a definite tipping point in our decision to cancel our preorder. I sure hope a quality company comes to the rescue for all the existing Tesla owners. 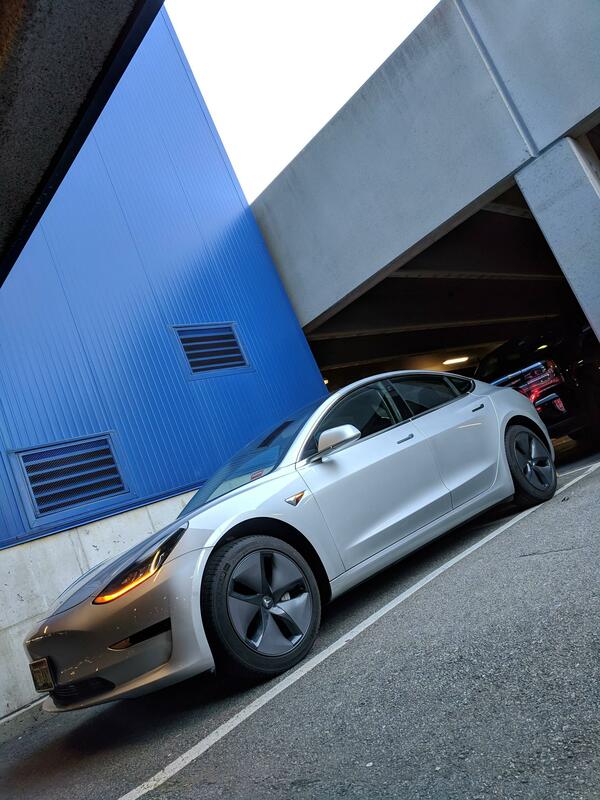 As someone who has followed this stuff closely, I didn't expect the base model 3 to come any time soon. They certainly didn't do a good job of making that obvious to people who don't have time to keep up with every announcement, though. In the end, it's all a microcosm of the same thing they've done the entire lifetime of the company: build up economies of scale at the highest margin and work your way down. It *will* happen, but current trajectory looks like it probably won't be until the beginning of next year. I'd expect an announcement about it alongside the Q3 numbers due any day now that we're into October. I'll never go back to an ICE. Love this thing. I've never seen a gelatinous cube that blue before! Almost a year in mine and I still love the hell out of it. I was interested to see what winter would be like with an electric and then it didn't get cold enough (so far) to matter, so I guess I might have to wait for next year. With less moving parts, shouldn't it technically run better in the extreme cold? Yes and no. Electric cars have a better chance at starting in cold weather than a normal car. However the range for an electric car can drop by quite a bit due to having the heater and defoggers running all the time. Normal cars get this too, with reduced fuel efficiency in cold/bad weather, but there are more gas stations than charging stations so it's not reported on in the same negative light.